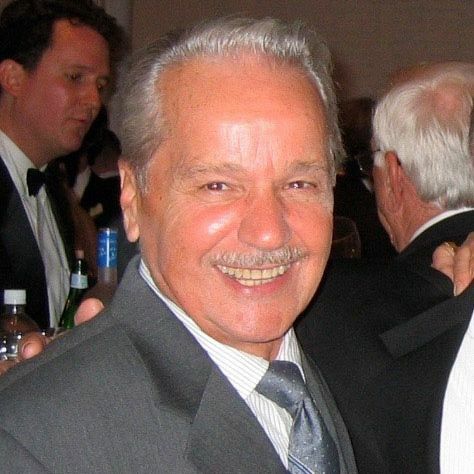 Daniel Defonte, patriarch of the family behind Red Hook’s excellent Italian-American deli Defonte’s, passed away on Sunday, October 4, at the age of 89. The late Defonte, who took the shop over from his father Nick, and has since passed the reins to his son Nicky, had been suffering from dementia at the time of his death. During the decades that Daniel ran it, and the years since he stepped down, Defonte’s cemented its status as a New York institution, one of a select few no-frills, neighborhood sandwich shops that have been vaunted to the status of citywide destinations. The shop attracted no shortage of praise over the years, attracting the attention of both New York Magazine critic Adam Platt and the Underground Gourmet, as well as Ed Levine, former Times critic Sam Sifton, and just about anyone else who cares about good sandwiches in New York. While Defonte’s ran a second shop in Gramercy for five years (until the building was sold), and expanded to Staten Island last December, the original remains an icon. For 93 years Defonte’s has not only been a staple sandwich shop in the heart of Brooklyn but rather a family, a home, and a memory of a first job or a place where valuable lessons were learned. Daniel Defonte was the heartbeat of the store. He was not just your boss, he was like a father figure to many. He employed hundreds of people within the Italian-American and Irish-American community because he felt everyone deserved a chance. He was a tough boss, but he was fair. Anyone who has ever been in Defonte’s can remember the employees were always joking around but when it came down to it — business meant business. Danny instilled lessons in his employees that they still remember to this day. Grandfathers, uncles, brothers have always left saying, “If you can work in Defonte’s, you can work anywhere.” He has taught his employees through his own actions that you can work through pain and suffering if it meant providing for your family, because to Danny family was everything. As a young boy he would get up before going to school to make sandwiches for the construction workers and long shoremen at Todd’s Shipyard that relied on the famous potatoes and egg sandwich. It could make anyone’s Monday morning worth getting up for. Most of the hot food recipes were his own and he prided himself on quality over quantity. It was not just the Red Hook community that kept Defonte’s in business. It was the customers that Danny treated with the utmost respect, no matter rich or poor. Underprivileged children would come into the store and he would feed them for free because he knew that it may be the only meal they had all day. If you had no money he gave you a sandwich. One customer’s father even left in his written will that he wanted his family to go to Defonte’s to eat after he died because that’s how much the store meant to him. No matter where you go Defonte’s is a piece of home to someone, and not just in New York. He has been on vacation and random people would send over drinks or come up and thank him for what he has done for their family. Danny retired at age 72 but even in his ill state, with dementia setting in, he would still try to get up every morning and go to work. He wanted everyone to know, “I just want to go to work, provide for my family, and let everyone know I love them.” That is the man he was. His legacy will always live on as New York’s “Hero” not just through the two sandwich stores, but in the hearts of many friends and families that have had the pleasure and memory of knowing him.